VANCOUVER - Lawyers for a British Columbia businesswoman acquitted of human trafficking have written to the B.C. Civil Forfeiture Office asking that it drop court action to seize the multimillion-dollar home she owns with her daughters. The fact is, however, the provincial agency can continue the civil lawsuit to claim the West Vancouver home owned by Mumtaz Ladha, with or without a conviction. "We're still waiting to hear from them," Casey Leggett, Ladha's lawyer, said Tuesday. Phil Tawtel, director of the office, said the agency is reviewing the court decision. The judge at Ladha's criminal trial delivered an unequivocal acquittal on Friday, and Leggett said he expects the claim will be abandoned — but it's not automatic. "Whether proceedings are initiated in court or administratively, they are not reliant on criminal charges or convictions arising from the alleged unlawful activity," says the agency website. It's a startling example of the problem with the province's aggressive program to seize assets linked to unlawful activity, said Micheal Vonn of the BC Civil Liberties Association. "We have said right from the get-go, it's an end-run around the appropriate protections in the criminal justice system," Vonn said. The claim on the $4-million home owned by Ladha and her two daughters was filed two years ago, after she was arrested and charged with human trafficking and three other violations of the federal immigration act. She was accused of bringing a young woman to Canada from Tanzania and forcing her to work unpaid as a domestic servant in the home. Although only Mumtaz Ladha was charged criminally, the civil claim by the forfeiture office alleged the property was an instrument of unlawful activity by both her and her co-owner daughter. For a successful claim, the office must prove the property owner was complicit in, had knowledge of, or was wilfully blind to the unlawful activity, Tawtel said in an email response to a request for an interview. A rigorous, due process of law still applies, he said, and the Supreme Court of Canada has upheld forfeiture laws in Canada. "There is a clear legal process in place, and civil forfeiture neither undermines nor circumvents charter rights — both civil and criminal processes must meet charter protections," he said. The office has seized more than $31 million in property and goods in the seven years it has been in operation, including homes, cars and even a helicopter. It has returned hundreds of thousands of dollars to investors in fraudulent investment schemes and funded millions of dollars in youth-crime prevention programs in B.C. But critics say this government "cash cow" is run amok. In October, the forfeiture office received an interim order barring the owner of a Kelowna condo from selling while they pursue a claim. While there was a major drug bust at the condo that resulted in charges against the tenant, the owner was not charged. The office, however, filed suit claiming the federal government employee received funds from organized crime to purchase the condo. And in September, a B.C. Supreme Court judge rapped the agency for attempting to seize a Ducati motorcycle over a speeding violation. The driver was going more than 200 kilometres an hour in a 60-kilometre zone, according to court documents, but the judge said there was a system in place to deal with motor vehicle violations. "When we said they could go after your car for speeding, we were told we were hysterical, and of course, they've done that, too," Vonn said. But the legislation in B.C. is very broad, Leggett said. The claim against her includes breaching the Employment Standards Act by failing to pay minimum wage. "It certainly highlights the breadth of the legislation and how it can be interpreted in such a way as to be rather invasive or disturbing to a lot of people," Leggett said. 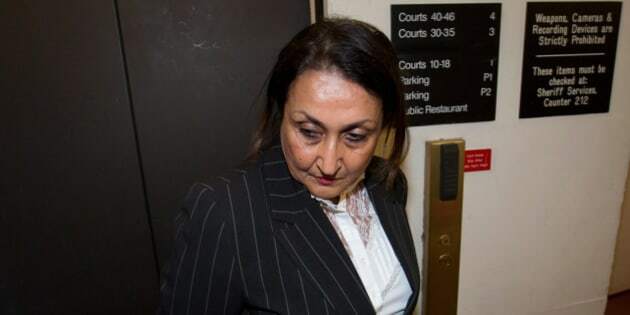 Ladha has paid significant legal expenses to defend against the claim, he said, and she has been barred from selling or remortgaging the property in the interim. "It's significant. It really does add to the plight that a person, that Mrs. Ladha, was facing while she was going though this criminal case," he said. Unlike criminal proceedings, accused are not entitled to legal aid, Vonn said. "Many people are settling with the civil forfeiture office because they cannot afford to pursue their defence," Vonn said.